Katie Jayne Britchford is from Melbourne in Australia and Thomas Silberhorn is from Munich, where they both work and share a studio. For this exhibition both artists have created individual works as well as collaborative projects. Katie often focuses her work and ideas around materials as fake and materials as matter and Thomas creates kinetic sculptures that alienate from daily objects and memories. 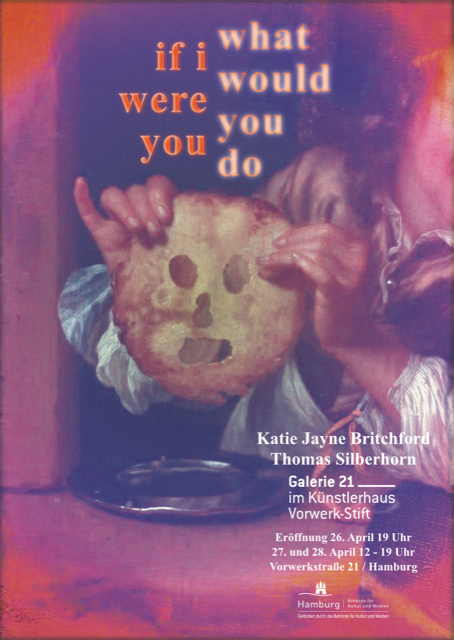 In ‚if i were you what would you do‘ Katie and Thomas have combined their often humorous and ironic work in an unusual and multi-disciplinary installation.